Please bare with me, this is a very personal post. Last time I blogged was back on October 2nd and posted some changes. Since then my life has changed. My husband John passed away on October 20th of Pancreatic Cancer, three short weeks after the diagnosis was confirmed. He was my friend, partner, lover, and husband for over 34 years and as you can well imagine this loss has been a tremendous blow. John was a native Angelino and a proud Chicano, third generation. We met in Los Angeles at a non-profit mental health facility as co-workers where he worked as a therapist, but he was also an experienced community organizer, and later worked as director of a dual diagnosis program for those suffering from mental health issues/substance abuse. I was very young when we met and he was a big bear of a man, hefty and cute with a beautiful full beard, dimples, and laughing green eyes. We fell in love and fit like two peas in a pod -- both of us were progressive, idealistic, politically involved, and just a tad radical in those days. He introduced me to Mexican and Chicano cultures and literature, jazz and the blues. Ten years later I dragged him to New York and New Jersey and introduced him to Caribbean cultures and the East Coast lifestyle. He loved it so much that I swear he became more of a New Yorker than I have ever been. We shared a love for baseball, basketball, science fiction books and movies, anything western (movies, books, programs) and all types of music. He loved that I read like a fiend and fervently encouraged my blogging. I loved his sense of humor and that he was always ready when I needed a good solid argument, debate or conversation. He was a great dad and the best Papa and 'buddy' ever to his granddaughters. Good times and bad times. Flush times and lean times. All worth it. Throughout these bad times I have been overwhelmed by kindness from family, friends, and strangers. My family has been my rock. John's co-workers and friends were invaluable with their visits, telephone calls, and kind, loving words of encouragement. I thank them all! I would particularly like to thank the blogging community, those friends who, whether through personal visits, texts, twitter, emails, or from behind the scenes, provided support to John personally, to me and to my family. I will never forget it. It's the most lethal cancer there is. Overall survival rate is 6%. More than 46,000 Americans will be diagnosed this year. More than 39,000 will die. 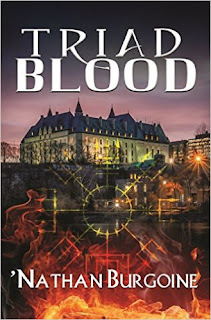 I hope to post a short review from one of my September reads shortly. I did not read any books in October. What a beautiful tribute, Hils. I'm so sorry for your loss. Nifty, thank you so much. He deserved the happiness you brought him. You deserve to know how happy you made him. Steve, your words mean so much to me. I cannot begin to express how sorry I am for your loss. This was a beautiful memorial; it sounds as if you had a wonderful life together. I know the days and months ahead will be beyond hard. You will be in my prayers. Hugs to you. Phyl, ours was an 'ordinary' life, but wonderful to us. Thank you! Indie, thank you for being there for me throughout, for letting me hope, rage, and ramble. Hugs. Gavin, thank you so much for your emails and support. They meant the world to me. I feel so bad I can't help you more in this awful time. I can imagine how you must try to think of the good things, the happy and joyful memories but I know it must be so hard still. I'll keep praying for you and I hope the pain goes away eventually. Please know we feel for you. I'm afraid I can't give you more than my tears and my thoughts, but I hope YOU are as well as you, can all things considered. A huge hug for you, be strong! Sonia, thank you so much for your kind words and encouragement. A big hug back. Hils - I am so so sorry for your loss, and this post is such a lovely tribute. Big hugs. Thank you, Li. Most appreciated. Hilcia I'm so sorry to hear of your loss. 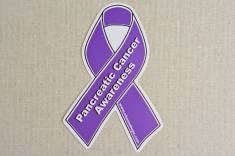 My brother-in-law also had pancreatic cancer, so I know how devastating it is. It all happens so quickly and comes out of nowhere. You'll always miss him, but he will always be in your heart. Jen, thank you. PC is lethal. We didn't have time to process it and it was over. Devastating. I was so very, very sorry to hear about John. PC is so devastating because it rolls downhill so terribly fast. I hope you were able to keep him comfortably at home in the end, that you had those final private moments together as a family. Thank you, Wendy. It all was incredibly and devastatingly quick. No time. He was with all of us in the privacy of our home. Thank you! For everything.